The Trophies are an indicator of your Progress in the Clash of Clans game. Trophies are the basis upon which status is earned. 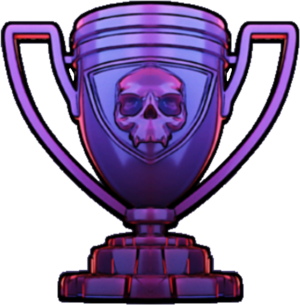 Trophies can be gained or lost when attacking or being raided. To gain position in one of the Trophy Leagues and receive Loot Bonus for each successful multiplayer attack. To gain position on the various individual leader boards: My League or Top Players (Global and Local). You are also ranked against your own clan members. To control which relative trophy level players you can attack and visa versa. To be able to join different Clans. 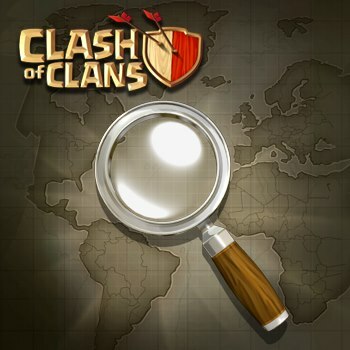 Almost all good Clans have a minimum amount of Trophies to enter. When choosing a village to raid, you will be matched with people who have about the same number of trophies as you. The exact number or mechanics of this matching are unknown. However, you may currently attack/be attacked by players with a trophy difference as much as ~230 lower or higher than your own. A very common tactic is for high level players to deliberately keep their trophy counts low, so that they can be matched with weaker opponents. This is called farming. Based on your Trophies count you will be placed into a Trophy League after one multiplayer attack. The first Bronze League requires 400 . These are each further divided into 3rd, 2nd, and 1st divisions, except for the Legend League. Many experienced players call Trophies ‘cups’, as it is easy to say and type. Some Clans and players like to challenge each other to trophy contests for a bit of “in house” rivalry. You can also get Gems from winning a certain number of trophies through the Sweet Victory and (indirectly) League All-Star achievements. For Sweet Victory, 1250 gives you 450 . For League All-Star, for 2,000 you receive 250 , for 2,600 you receive 1,000 , and for 3200 you receive 2,000 . It is impossible for players to have a negative trophy count. However, successful attacks against players with zero trophies still reward trophies to the attacker, and unsuccessful attacks at very low trophy counts give more trophies to the defending player than they take away from the attacker. This adds more total trophies to the game, causing inflation. This phenomenon is particularly noticeable at higher rankings: at one point in time no player had more than 3,000 , but as of late 2013 many top players had more than 4,000 . And in 2015 top players had reached the 5,000 number. You can win up to a maximum of 59 in an attack. These are revenge attacks, because you cannot win more than 34 in a normal, non-revenge attack (except in the high-Champions League/Titan League). You cannot gain or lose trophies in a Single Player Campaign. You also cannot gain or lose trophies in a Clan War, even though you are attacking other players. 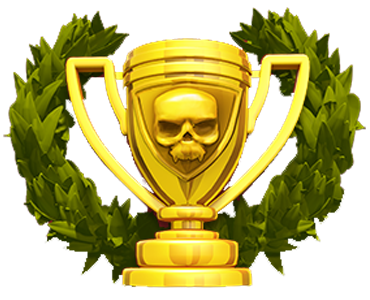 Trophies are only won and lost during regular multiplayer attacks. Most players in Champion I and above commonly refer to offers with more than 20 available as whales due to the fact it’s hard to find decent offers up in the higher leagues. From the 1st July of 2015 top players can gain a special Legend Trophies for being above 5,000 Regular Trophies at the end of the Legend League Tournament.